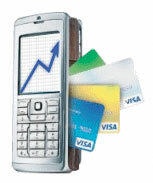 Mobile Commerce and Mobile Payments are two areas of growing interest for the mobile marketing community. As more and more of mobile marketing leads directly to commerce, and as commerce usually includes a payment element, it is key for marketers to begin to understand these new topics. The use of bluetooth enabled "beacons" in retail environments is one of the growing trends in mobile commerce. As with any new marketing-focused technology, the key question is always "what is the reach?" A new release from beacon platform company inMarket shows that beacons seem to be reaching a critical mass of addressable consumers. Most consumers these days are fairly comfortable shopping online, and storing their credit or debit card information for online payments. However, these same consumers have not yet become comfortable with storing their card data in mobile apps. Concern about security of the apps has greatly limited their uptake. Mobile Shopping Reaches "Tipping Point"
Over the past couple of years, we've seen an inexorable rise in the use of mobile devices for commerce, including price comparisons, stock checking, product feature research, and actually purchasing. Now new research has shown that mobile has truly reached the "tipping point" for mobile commerce in the UK, with over 50% of traffic to retail sites coming from mobile devices. And what's more, over 1/3 of all online purchases are now made over mobile as well! Many people in the retail sector have recently become aware of - and worried about - the trend known as "Show-rooming". This is when a consumer comes to a retail location to look at and try a product before later purchasing the same product online. Now a new trend has been identified - "Web-rooming". This is the exact opposite of show-rooming, and in fact appears to be more popular. Buy a coffee with your Smart Watch! Mobile commerce is all about making things easier and more convenient for customers. Payment is often seen as a difficult step in commerce, so in recent years a lot of effort has been going into finding new and better ways to allow customers to pay. Now PayPal and Starbucks are piloting a new payment scheme that may be the easiest ever, and it is based around the new Gear 2 smartwatch from Samsung. Helping Banks become "Media Channels"
One thing is certain about the world of mobile commerce and marketing - companies need to be able to adapt quickly and exploit new opportunities as they appear, or else they risk becoming obsolete. 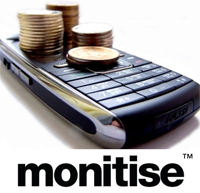 One company that is doing just this is Monitise, a company that began in mobile banking, but now has grown to support mobile payments and mobile commerce. And soon, Monitise intends to turn banks in a "media channel". Zample is a new start-up that is helping brands increase the relevance of their advertising by listening to - and automatically recognizing - the media which surrounds a consumer. 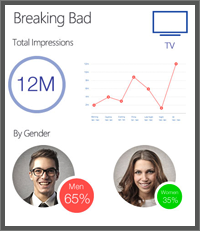 This information can have great value for mobile app publishers, and may spawn some interesting new marketing services. A recent study has shown that, compared with older generations, the buying habits of Millennials are significantly more influenced by their friends' social media activities. 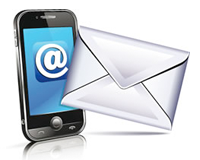 This is a topic that we don't often feature, but marketing by mobile email is becoming increasingly important. A recent study by Yesmail interactive has shown that the percentage of consumers interacting with email exclusively on mobile devices is now over half (52%), and the growth rate of mobile generated orders is triple that for desktop PC's. Retailers and brands using Pinterest saw a 224% increase in mobile revenue in January 2014 compared to a year earlier. As always, the MobiAD team attended the Mobile World Congress show in Barcelona to uncover the key trends in the world of mobile. 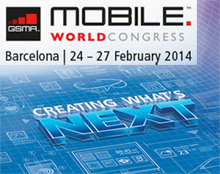 This year more than 85,000 attendees from over 200 countries were there, making it by far the largest MWC ever. Here is our take on four of the most interesting trends that we spotted at the show, subjects that we believe could well be important for MobiAD subscribers to follow over the coming year, including Internet of Things, m-Payments, Mobile Marketing, and Mobile For Development. Over the past few years, Africa is experiencing a resurgence, especially in the area of mobile services. Africa contains some of the world's fastest growing economies, and the mobile sector is an essential contributor of this growth. MEF Africa is releasing a series of country specific market reports - the first of which highlights Kenya, home of the phenomenally successful m-Pesa payment system! The GSMA is the global organization of mobile operators, arguably the most influential mobile association in the world. This new whitepaper from the GSMA is a detailed look at the opportunities provided by mobile commerce in the retail industry. An interesting piece of research from Millward Brown Digital has looked into consumers shopping habits and compared them on the mobile and PC platforms. 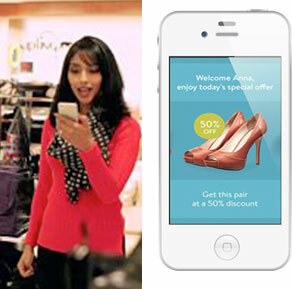 The research shows that mobile shopping is more transactional than PC shopping which is mainly used for research. PayPal, one of the world's leading payments companies has recently announced Beacon, a new mobile retail product based on Bluetooth, which could lead to much smoother interaction in store. Daily deals pioneer Groupon, has announced that it is now getting nearly half of its revenues from purchases made via a mobile device, with less than 40% coming from the original direct email approach. 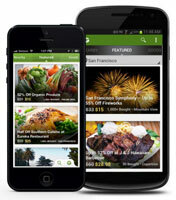 During its quarterly earnings call, CEO Eric Lefkofsky said that Groupon was “uniquely positioned to lead in the world of mobile commerce." Mobile makes consumers feel "in control"
This in-depth survey from ING International provides some surprising answers and a better understanding of this important emerging consumer trend. Vente-prive is a global pioneer and leader retailer in "flash-sales", i.e. selling branded overstock items to their members. Starbucks is the latest corporation to report big successes in its mobile payment transactions, averaging over three million a week in the United States. The coffee giant is hoping to attract further use of the system over the coming months, with a number of promotions - most notably, a rewards system that’ll earn customers points for each transaction made via mobile. While eBay’s first quarter results may have been a disappointment for some, the company dispelled fears in the mobile community with figures pointing to massively increased numbers of mobile users. The auction site gained roughly 2.8 million new mobile users in that period. And the company saying it expects to generate around $20 billion each from mobile commerce and mobile payments this year. Mobile Commerce seems to be going through a growth phase were many new approaches are being tried to see what consumers will like. 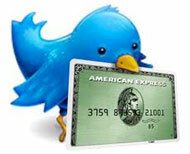 Recently venerable American Express partnered with social media powerhouse Twitter to let consumers purchase simply using #hashtags! The e-commerce piece, subtitled - Portrait of a tablet shopper - provides a real eye-opener into tablet users' purchasing power. And if these statistics don't motivate retailers to optimize their sites for tablet use, then it seems there's little hope to save them. Over the past several years, the Monday following Thanksgiving has been called "Cyber Monday" in the US, as this is the day that many people start their online shopping for Christmas. With more and more consumers preferring to use mobile for online commerce, Cyber Monday also provides a good measure of the growth of m-commerce, and 2012 proved the importance of mobile. Based on a recent study from IMRG Capgemini, the Christmas 2012 season could see a major growth in mobile commerce, with up to 20% of all purchases being made by mobile. This forecast follows on from their Quarterly Benchmarking study which showed that sales through mobile rose to 11.6% in the second quarter of 2012, up from 8.2% in Q1. Two banks have unveiled technology that allows customers to withdraw cash from ATMs without using a bank card. Users of NatWest and the Royal Bank of Scotland (RBS) can now request up to £100 cash using only their smartphones. France Telecom has announced that it has passed 4 million users of Orange Money, its m-payment service. Launched over 4 years ago, the service allows users to manage electronic money via their mobile device and is now also launching in Jordan and Mauritius. 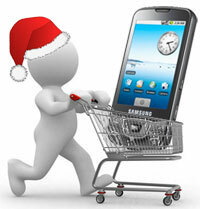 Mobile Commerce: Consumers Loved To Shop By Mobile During Christmas! 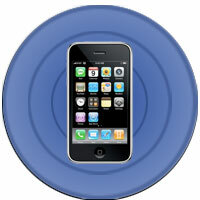 There was a lot of talk during the 2011 Christmas season about the growth of mobile commerce. But how much mobile shopping actually took place, what were consumers using their phones for, and how did they feel about it? To investigate these and similar questions, dotJWT (the digital arm of the JWT) conducted an in-depth survey of several hundred mobile shoppers . The results show that mobile is rapidly becoming a very significant commerce channel, but the actual mobile shopping behavior of today's consumers may not be what you think. Two recent product launches in the UK of Barclaycard Pingit and O2's mobile wallet have raised public awareness even more. Here we take a look at the functionality offered by these apps, and how well they actually perform in today's real world. As has become a tradition in recent years, Chetan Sharma has produced his annual Mobile Industry Predictions Survey. Each year, Chetan contacts a wide variety of leaders in the mobile industry to see what they feel will be the key trends in the upcoming year, as well as what they thought were the most interesting and important developments during the previous year. It always makes for interesting reading! As mobile commerce continues its rapid adoption by more and more companies, consumers' comfort with paying by mobile will become increasingly important. An interesting infographic released by mobile banking solution provider Intuit provides an informative look at consumers' current payment behavior and preferences, and how these are evolving towards mobile payments. In the US the Monday after Thanksgiving has come to be known as Cyber Monday because of large amount of online sales that take place on this day. But over the last few years, as consumers get more familiar with mobile technology, there has been an increase in mobile transactions on the Monday after Thanksgiving, thus giving way to the new term, Mobile Monday. 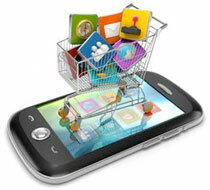 Here are some highlights on the growing trend of mobile commerce. A new study from market research firm Juniper forecasts that the number of mobile consumers paying by phone for goods and services is set to grow very rapidly over the coming few years. However, the increase will not be uniform across the world, with certain areas growing more rapidly but others seeing higher value payments. A recent study of UK shoppers has found that consumers now prefer shopping via their mobile device rather than over the PC internet. And the difference is very strong: for users aged 25 to 35, mobile is preferred 3 to 1 over regular online! Global mobile advertising network InMobi has moved into the world of Mobile Commerce, with the announcement of their SmartPlay mobile payment solution. SmartPay is intended to help mobile app developers and content providers to expand their business and monetize their users across multiple international markets. FirstPartner, a UK based research agency has released a very interesting "map" of the mobile payments industry. The map provides a overview of how mobile commerce and mobile payments is growing as well as who are the key players, and is a good resource for anyone who is interested in this part of the mobile industry.